Monetary policy refers to the credit control measures adopted by the central bank of a country. Johnson defines monetary policy ,” as a policy employing central bank’s control of the supply of money as an instrument for achieving the objectives of general economic policy”. G.K Shaw defines it as, “ any conscious action undertaken by the monetary authority to change the quantity , availability or cost of money”. To ensure economic stability at full employment level or potential level of output. To achieve price stability by controlling inflation and deflation. To promote and encourage economic growth. The role of monetary policy is to achieve economic stability at higher level of output and employment. The bank rate is the minimum lending rate of the central bank at which it re-discounts first class bills of exchange and government securities held by commercial banks. When the central bank finds that inflationary pressure have started emerging within the economy it rises the bank rate. Borrowing from the central bank becomes costly and commercial banks borrow less from the central bank. The commercial banks, in turn rise their lending rates to the business community and borrowers borrow less from the commercial bank. There is contraction of credit and prices are checked from rising further. On the contrary, when prices are depressed the central bank lowers the bank rate. It is cheap to borrow from the central bank on the part of commercial banks. The later will also lower their lending rates. Business men are encouraged to borrow more. Investment is encouraged. Output , employment, income and demand start rising and the downward movement of the prices is checked. Open market operations refer to the sale and purchase of securities in the money market by the central bank. When prices are rising and there is need to control them, the central bank will sell securities. The reserves of the commercial banks are reduced and they are not in a position to lend more to the business community. Further investment is discouraged and the rise in prices is checked. On the other hand, when recessionary forces start in the economy, the central bank buys securities. The reserves of the commercial banks are raised. They lend more , investment, output, employment, income and demand rise, and fall in price is checked. This method of credit control was suggested by Keynes in his “treatise of money” and USA was the first to adopt it as a monetary devise. Every bank is required by law to keep a certain percentage of its total deposits in the form of a reserve fund and also a certain percentage with the central bank. When the prices are rising, the central bank rises the reserve ratio. Banks are required to keep more with the central bank. There reserves are reduced and they lend less. The volume of investment, output and employment are adversely affected. In the opposite case, when the reserve ratio is lowered, the reserves of the commercial banks are raised. They lend more and the economic activity is favorably affected. They usually take the form of changing margin requirements to control speculative activities within the economy. When there is brisk speculative activity in the economy or in particular sector in certain commodities and prices start rising, the central bank rises the margin requirements on them. The result is that the borrowers are given less money in loans against specified securities. For instance, rising this margin requirements to 60% means that the pledger of securities of the value of Rs. 10000 will be give 40% of their value, that is, rupees 4000 as loan. In case of recession in a particular sector the central bank encourages borrowing by lowering margin requirements. They limited the amount of credit for the purpose of any consumer goods listed in the regulation. They limited the time for repaying the debt. In the post war period, most central banks have been vested with the direct power of controlling bank advances. This power has been granted to the central banks either by statute or by mutual consent between the central bank and the commercial bank. 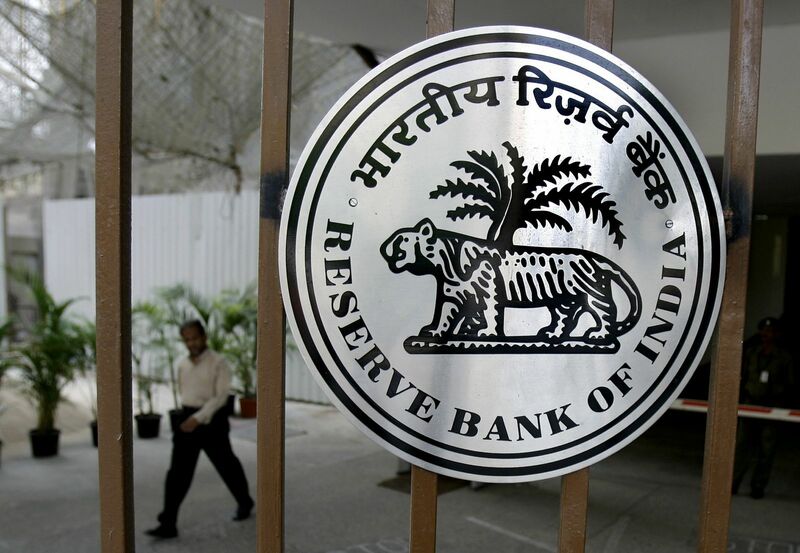 For instance, the banking regulation act of India, 1949, specifically empowers the reserve bank of India to give directions commercial banks in respect of their lending policies, the purpose for which advances may or may not be made and the margins to be maintained in respect of secured loans. 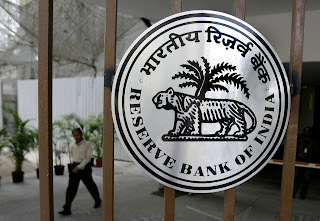 The RBI can also prohibit any particular bank or banking system as whole against entering into any particular transactions or class of transactions. Moral suasion implies persuasion and request made by the central bank to the commercial bank to follow the general monetary policy of the former. In a period of depression the commercial banks may be persuaded to expand their loans and advances to accept inferior types of securities which they may not normally accept fix lower margin and in general, provide favourable conditions to stimulate bank credit and investment. In a period of inflationary pressure the central bank may persuade the commercial banks not to apply for further accommodation already obtained for financing speculative or non-essential activities lest inflationary pressure should further worsened. This is another method in the armoury of the central bank. Rationing of credit as an instrument of credit control was first used by bank of England. The term rationing of credit implies two things. It means the central bank fixes the quota of every affiliated bank for financial accommodation from the central bank. Several central banks have adopted publicity as an instrument of credit control. They use this instrument not only for influencing the credit policies of commercial banks but also to educate and influence public opinion in the country.